I can see Bigwig being daring to do some of this stuff. Stephen fit the role nicely! Just like Hawkbit - a bit unsure! Hannah could've started a karaoke party in the downs. All around good guy! A born speaker and leader....just like our Hazel. Alien well...that's something else. I'll always think of Fiver thinking of "Hungry Like the Wolf" while munching on clover now. Always questions....he was great as the bumbling Marcus Brody. Not a lot of speaking for Campion (he had more lines in Plague Dogs) but he can be quite funny! Now we know why Dandelion was goofy and silly in the series...Jupitus is a hoot! Sounded like it was on the tv. Am I right? Sorry, I don't have any clips from the movie. Didn't find any on youtube, its a universal movie. This was made in 1995, so Falvey is actually younger here, and the voice isn't recognizable as Fiver, whom he later played. Again, another film piece where Falvey is younger than when he provides the voice for Fiver. 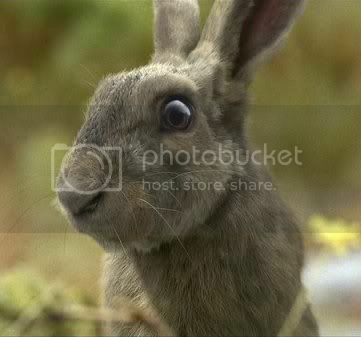 Either his voice deepens before the Watership casting, or he changes it, because there seems to be little resemblance. Imagine Hazel talking like this towards the other rabbits. Now that's the Fiver voice. I don't see Fiver as cop-like though. Nah. Lee Ross plays the husband (Paul) in that recurring skit- though you can't really recognize his "Hawkbit" voice except for with the first line in that linked skit. ^ Never would've guessed it was him, then I looked it up. John Hurt (Hazel movie-Woundwort all 3 seasons) plays Ollivander in Harry Potter (I looked up John Hurt on Wikipedia and picked a few roles) and Snitter in The Plague Dogs. 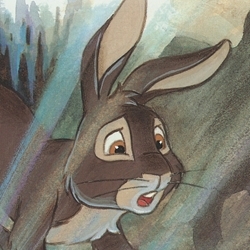 (Imagine Hazel or Woundwort saying "Damn you elil! Damn you all!" as Snitter said this only with "white coats" (humans) instead. ) I've only seen Plague Dogs though (and only will), Harry Potter, I'd never watch. John Hurt also played as S.R. Hadden in "Contact". He may show up only a few times in the whole movie, but he is a very important character. Guess who's voice is in this video.